Why should we teach stewardship to children? Because the Lord calls us, children and adults, to be grateful and generous with all of our gifts. No one is too young or too old to serve the Lord. Everyone has received gifts through baptism. St. Paul wrote to Timothy, “Let no one disregard you because you are young, but be an example to all the believers in the way you speak and behave, and in your love, your faith and your purity” (1 Timothy 4:12). Stewardship is a lifestyle rooted in love, gratitude, generosity, humility and trust. It’s important to teach our children this way of living, so they understand how God calls them to use their gifts, see how virtues are active in their lives and begin to mature their faith (even many adults still have an underdeveloped faith life). Stewardship encourages an “attitude of gratitude” and teaches the difference between “wants” and “needs.” It demonstrates that we’re responsible for our own lives, as well as the lives of our family, friends and neighbors. Also, we have a responsibility to care for our health, our environment and God’s creatures. Children are bombarded with materialistic messages. Stewardship helps develop the attitude of “I’ve been blessed and have plenty to share” instead of “I don’t have enough and the world owes me.” Experts say that children start forming their attitude about sharing between the ages of 6-10. A stewardship lifestyle helps children find peace and joy in our fast-moving world. • Realize that God has given them many gifts and reinforces self-esteem. • Be grateful for what God has given them and develop a positive outlook. • Learn that stewardship built our Church and they have a responsibility to continue it. • Understand that God has given them specific gifts for a reason and that He may have a different plan for them. • Understand stewardship is a lifestyle (not just on Sunday) and helps us make better decisions. • Recognize the joy of our faith and realize that real happiness doesn’t come from material things. 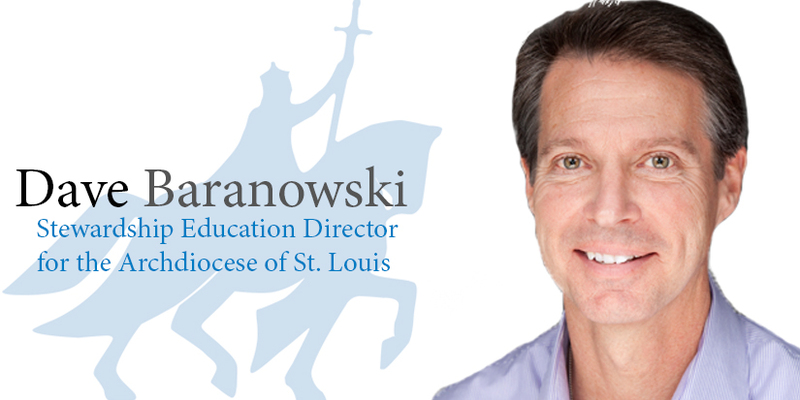 Mary Queen of Peace grade school in Webster Groves is celebrating the 10th anniversary of their Children’s Stewardship Formation which includes all-school Stewardship Masses and several Stewardship Activity Days throughout the school year. All parishes should see the incredible job they are doing. Please contact me if you are interested in learning more or if you would like to attend an upcoming Stewardship Activity Day and experience the joy for yourself.